Home Constitutional Law 1st Amendment Does Thor Working with the US Government Violate the Establishment Clause? 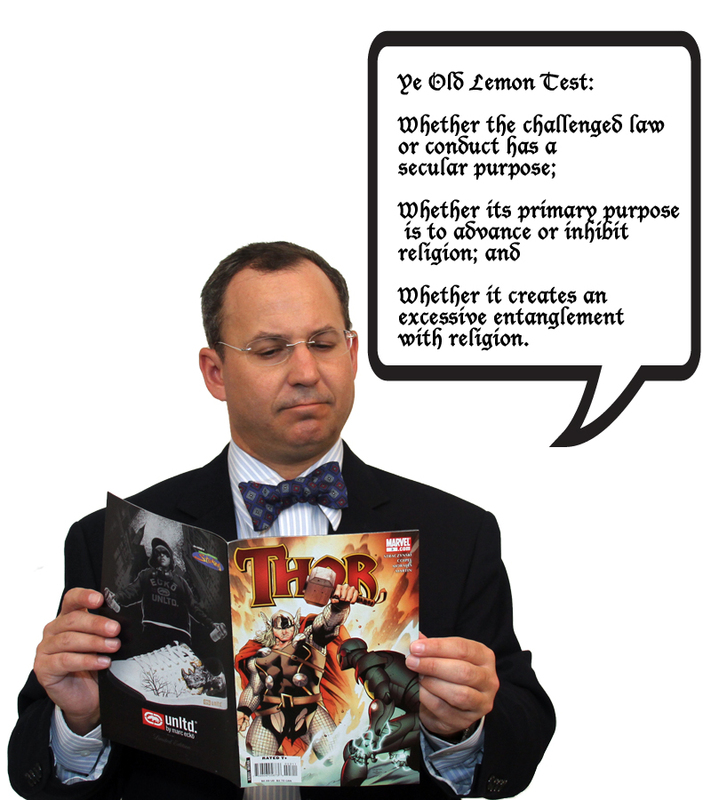 Does Thor Working with the US Government Violate the Establishment Clause? The First Amendment to the United States Constitution states, “Congress shall make no law respecting an establishment of religion,” United States Constitution, Amendment I, Clause 1. What does this mean for a “alien” that historically was thought to be a god who conducts law enforcement activity or national defense? 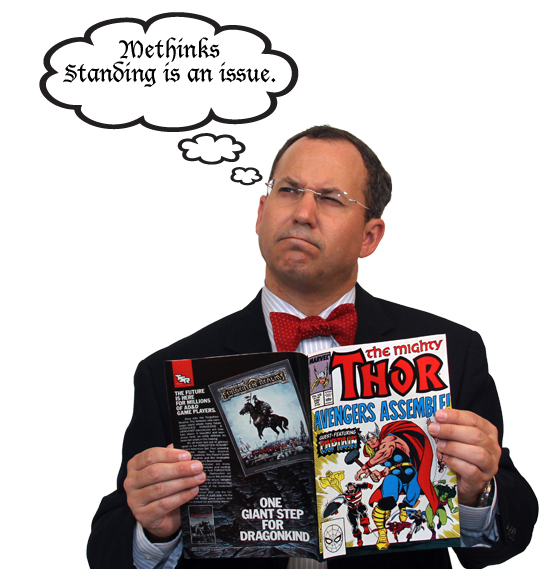 Would offended atheist or religious groups have a cause of action to sue to prohibit the US Government, SHIELD or the Avengers from working with Thor as a First Amendment violation? Would they even have standing to sue the Federal government? The test whether the Establishment Clause has been violated is whether, “the government practice has the effect, intentionally or unintentionally, of communicating a message of government endorsement or disapproval of religion would there be a violation of the Establishment Clause.” Rosa-Ruiz v. Gonzalez-Galoffin, 2007 U.S. Dist. LEXIS 69905, at *10 (D.P.R. Sept. 20, 2007). The “Lemon test” requires Courts to determine whether the challenged law or conduct has a secular purpose, whether its primary purpose is to advance or inhibit religion, and whether it creates an excessive entanglement with religion. Rosa-Ruiz, at *10-11. 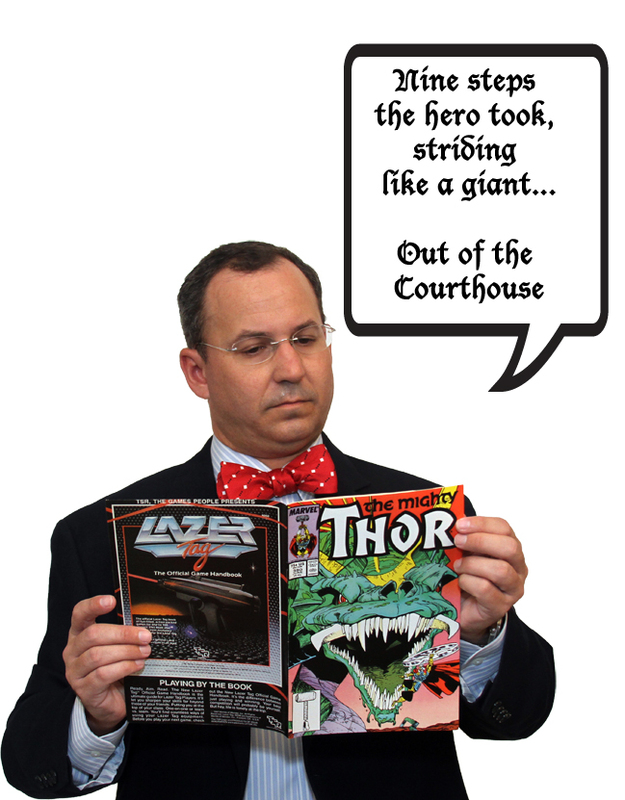 Thor working with SHIELD or the Avengers (assuming they are state sponsored) is nothing like a courthouse with the 10 Commandments or Christmas decorations in a public park. You actually have a “person” with extraordinary powers. Would such partnerships for law enforcement or national defense amount to a state-endorsement of religion that violates the “Lemon Test”? As to the first element, Thor fighting invading alien armies has the secular purpose of stopping a US city from being destroyed and the enslavement of the human race. The purpose of Thor’s actions is clearly defensive in nature for the protection of all of mankind, thus promoting a secular purpose. Thor’s actions of protecting Midgard do not have a primary purpose of advancing or inhibiting religion. Thor demands no offerings from the US government, nor are temples being built for him. All US citizens still enjoy the freedom of religion. This is purely a strategic defensive relationship to ensure the safety of all of the Nine Worlds. As to the final element, SHIELD, the Avengers or local police working with Thor do not pose an excessive entanglement with religion. There are no worship services taking place or the Secretary of Defense making sacrifices to appease the God of Thunder. If anything, this is a diplomatic relationship to combat mutual threats. The US Government should be able to conduct law enforcement activities or national defense with Thor without violating the First Amendment. Any such partnerships are within the police powers of the state and do not endorse the view that Thor is a god, but a strategic ally in times of crisis.